Clothing is a big deal in my household. Though probably not in the way first imagined. There are cycles in our home. There are the seasons with weekly Steelers games and their appropriate jerseys/shirts. There is the much longer hockey season with its multiple games a week when we wear our "hockey shirts!" (Kenzie's phrase of choice). And there are the daily moments of "naked baby" which typically involves some lack of clothing on the part of our children running throughout the house. In every case what we wear is important. And our surroundings often dictate what we wear. They are representative of our status. This is going somewhere religious I promise so stay with me. From a sociological perspective, there is something profound about clothing. We are worried about what we wear quite often (at least those of y'all with a social conscience). The importance of specific dress for weddings, funerals, church, special dinners, and date night is not merely a fabrication of a social experiment. It certainly exists there but it is also Biblical. There is in fact one crucial story of nakedness and clothing in the Scriptures that works paradigmatically for us. As with much paradigmatic material, it does occur early in the Scriptures: Genesis 2-3. One thing that needs to be seen up front is the symbolic nature of nakedness. I do think Adam and Eve were in fact naked but it should be obvious that "nakedness" is not simply a reflection of lacking clothing. This is important to address otherwise we'll misunderstand the development of human reaction to nakedness in the subsequent passages. Be necessity, there is something even deeper than that. This is revealed in part by the play on words contained in Genesis 2:25 and 3:1. There is a word play on the nakedness of man and the related craftiness of of the serpent. There is an epic battle of holiness setting up on the stage of creation. And clothing, or a lack thereof, is used as the prop to depict this truth. This then is reflected in the downfall of man: he realizes he is naked and not he becomes naked. The problem is not the nakedness for that is the prop teaching us. Instead it is the realization of their nakedness which has now taken on a different meaning for mankind. It has become paradigmatic. Upon this realization then, they immediately go about covering this nakedness up. And they do. That is to say, they do it successfully. Let me repeat that, Adam and Eve were successful in clothing themselves. The common analogy of works (their self-clothing being insufficient) and grace (God's clothing being sufficient) is stretching things a little too far. Adam and Eve were able to cover their private parts. What they where unable to do was recover what was lost in their original shameless nakedness. Despite covering their nakedness, the nakedness remained because shame had taken root. And that which they had lost, of which they were shamed, was the adornment of God and the bestowal of authority over creation. 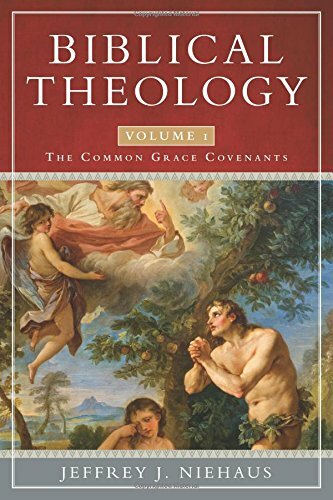 It is here that Jeffrey Niehaus has provided some outstanding insights on God clothing Adam and Eve (e.g. pages 121-122). Niehaus brings to life the meaning of clothing within the ancient context of the Scriptures. He arrives at the idea that "God is symbolically restoring the inheritance to our first parents" (121). This restoration is dominion over creation covenant established in Adam and reaffirmed in the Noahic covenant. God's clothing of Adam and Eve served the same external purpose, it covered nakedness. But it also addressed the shame now associated with nakedness. The usurpation of God's authority had result in their own authority being removed. But God in humility and grace had restored it to Adam and Eve in a sacrificial atonement. I am not trying to undermine the typology of God clothing us in Christ's righteousness. That remains; but it remains in a slightly amplified form. Not only are we clothed in righteousness but the clothing of Adam and Eve was a sign from God of their restored status as covenant heads. Now as we are clothed in Christ we both receive His righteousness and His covenant authority and status. We are the righteous ones. We are joint heirs. That's a far cry nicer than me and my household putting on sports gear and screaming at the TV.